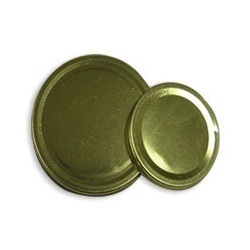 We are engaged in manufacturing and exporting of a range of SLIP Caps or PRESS FIT caps with a plastisol gasket inside for Leak resistance, widely used in DAIRY & HONEY industry for its convenience in packing & usage. As the name suggests, these caps do not have threads & are simply pressed or slipped on the bottle, with similar profile, to give it a tight fit. These are available in sizes 53 mm & 72 mm Dia. Our product is made from high quality TIN SHEETS that are procured from reliable sources in the International market. These caps can also be manufactured out of ALUMINIUM. We testify our products on various parameters especially the leak test before delivering it to our respected clients. Looking for Press Fit Caps ?